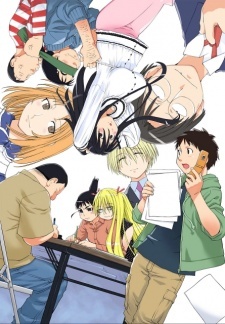 The Society for the Study of Modern Visual Culture, otherwise known as Genshiken, is now under the charge of a more confident Sasahara. Things have changed in between semesters, and the otaku club now has a new otaku-hating member named Ogiue. Sasahara's initial goal of starting a doujin circle and selling those fan-made magazines at the next Comic Festival becomes a reality, but reality is a cruel master... who apparently crossplays. Afterward, the club is abuzz with talk about Tanaka and Ohno's relationship, which takes a hesitant step forward. Episode 1 - The other side of the path. The promised place. Episode 2 - Cross over My Legs!